Salla is a municipality of Finland, located in Lapland. 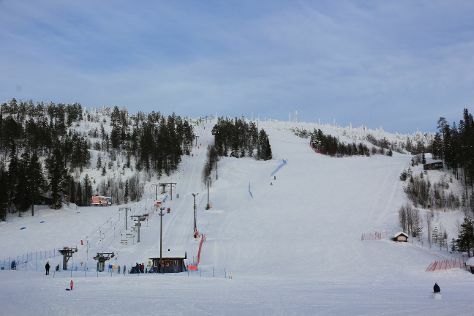 Kick off your visit on the 25th (Wed): fly down the slopes at Salla Ski Resort and then brush up on your military savvy at Salla Museum of War & Reconstruction. To see photos, more things to do, and more tourist information, use the Salla journey app . Cairns, Australia to Salla is an approximately 32-hour flight. The time zone difference moving from Australian Eastern Standard Time (Queensland) to Eastern European Time is minus 8 hours. Plan for cooler temperatures traveling from Cairns in December, with highs in Salla at -7°C and lows at -16°C. 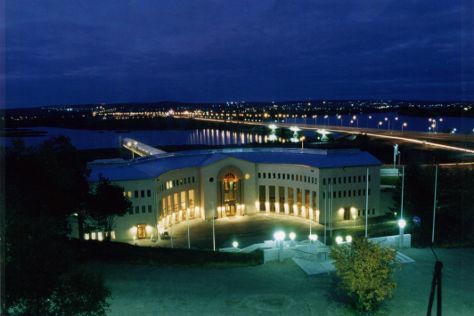 Finish your sightseeing early on the 25th (Wed) so you can travel to Rovaniemi. On the 26th (Thu), look for gifts at Your Piece Of Finland, then get engrossed in the history at Arktikum, then have fun at Santa Claus Office, and finally get in on the family fun at Santa Claus Village. To find where to stay, reviews, and more tourist information, go to the Rovaniemi road trip planner. You can drive from Salla to Rovaniemi in 2 hours. Expect a daytime high around -6°C in December, and nighttime lows around -13°C. Cap off your sightseeing on the 26th (Thu) early enough to travel back home.